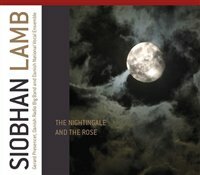 Content by tag "Siobhan Lamb"
Experiments blending jazz with choral music are few and far between. Perhaps with good reason. Classical composer and flautist Siobhan Lamb and her husband, Gerard Presencer, the English jazz trumpeter, nonetheless accepted the challenge.